12.12 may be ending soon but Resorts World Sentosa's EXCLUSIVE deal is extended till 14 Dec! Get 2 S.E.A. 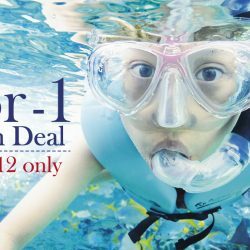 Aquarium or Adventure Cove Waterpark adult one-day tickets for the price of 1! Share it with your friends now! 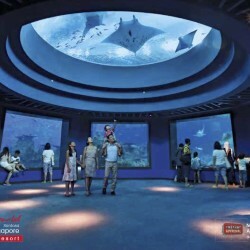 Come face-to-face with more than 100,000 marine animals of over 800 species as you explore the enchanting marine realm at S.E.A. Aquarium™. With the RWS Invites Attractions Membership, not only will you get to relive these magical encounters over and over, you’ll also enjoy exclusive privileges all across the resort. 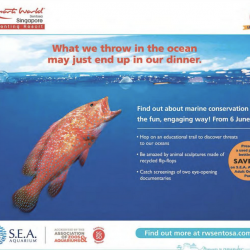 Present a used plastic bottle and save S$3 on S.E.A. Aquarium. Adult one-day pass, from 6 June 2015. So, what are you waiting for? Come and have fun!